Eucalyptus Pommele is probably the most beautiful and eye-catching Eucalyptus surface. 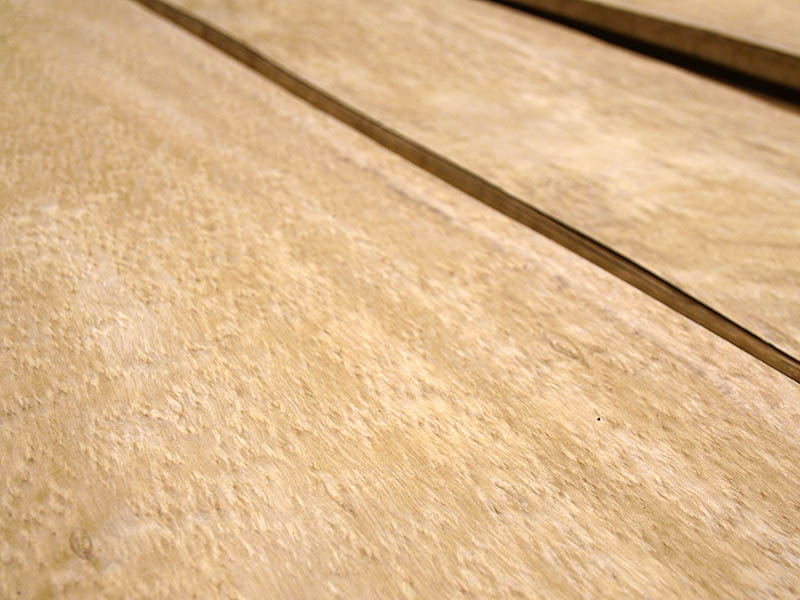 It is classified as a semiprecious wood and is mainly used for luxury decorative applications. Its surface is full of burls and presents an homogeneous golden brown tone. This outstanding material should be used paying atention to the special structure of every single bundle. White Eucalyptus appearance has been compared to noble woods such as Black Cherry and light Mahogany. More precisely, the Eucalyptus Pommele veneer resembles to Maple’s Burls according to its colour. The figure of Eucalyptus Pommele is also similar to Bossé. The Eucalyptus tree is native to Australia, New Guinea and Indonesia. In temperate climates grows Eucalyptus Globulus while Grandis and other subspecies are more common in tropical regions. Although it is a fast-growing species, heartwood is a hardwood, very strenght and durable. Those physical characteristics are better than the ones from Oak, but the dimmensional stability is poor and timber is also difficult to work with. Eucalyptus wood also tends to have many internal stresses and drying difficulties. Therefore this trees are mainly planted for the pulp industry that takes advantage of its short fibres. 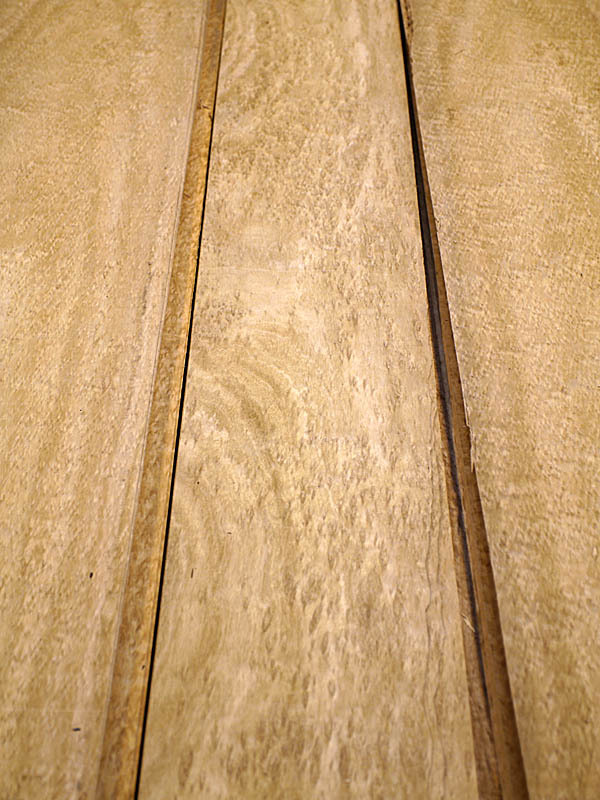 As shown in the pictures above, CHANNEL VENEERS proudly offers the best logs of Eucalyptus Crown Cut Frissé. This makes possible to provide homogeneous surfaces produced with bundles that have lenghts over 3.10 meters. 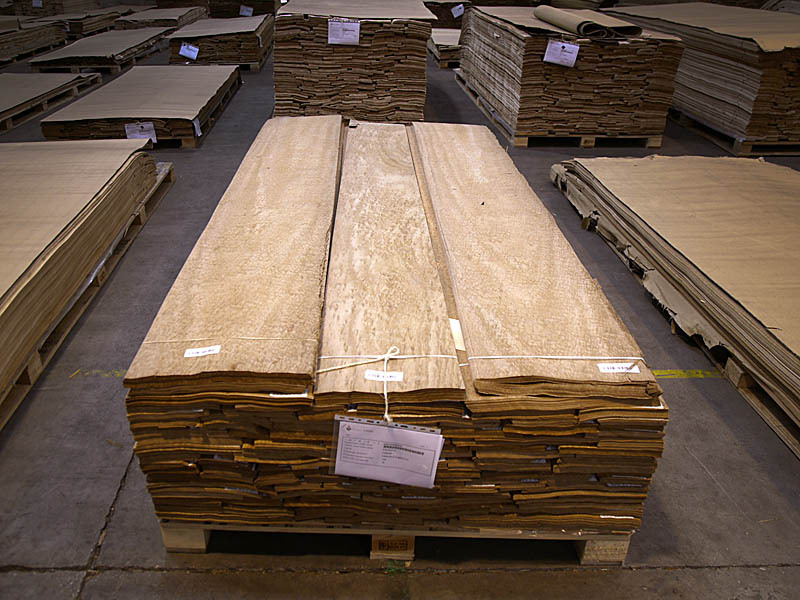 The veneer of Pommele Eucalyptus is a rare product which is mainly used for the highest decorative purposes. Therefore, the company usually produces it on demmand. For further information on Eucalyptus veneers and special products such as Pommele and Frissé veneers, please don’t hesitate to contact directly with the company.